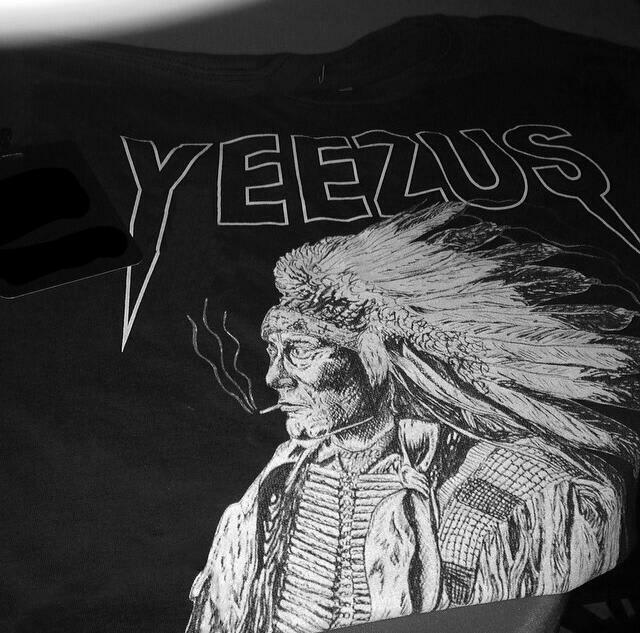 The "Yeezus Tour" is starting up again, and while Kanye West is already making waves with an epic visionary stream of consciousness that called out Jimmy Kimmel, Sway, and Charlamagne the God, the new leg of the tour also means new merch. It looks like a few new items are now available at the nine concerts, all with updated tour dates and sticking to the main themes of crosses, Grim Reapers, skeletons, and Native Americans. Like last time, this merch was created with artist Wes Lang, who&apos;s also a burgeoning streetwear designer. No word yet on whether this new batch will eventually be available at PacSun, but if the tour wants to continue stacking coin like not many have before, then an upcoming partnership is probably not too unreasonable to assume.